Get yourself an amazing new iPhone, Samsung or Huawei. 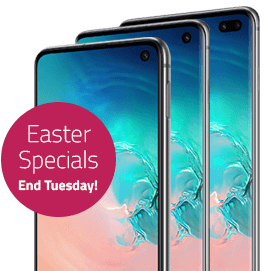 But hurry - our Easter specials end on Tuesday! Hurry - these incredible SIM only offers are available for a limited time only!